Living a Fit and Full Life: Get Healthy with Oxylent's High Quality, Science-Backed Multivitamins! Get Healthy with Oxylent's High Quality, Science-Backed Multivitamins! Choose Oxylent as your daily multivitamin because you care about what you put into your body—and so do we. Oxylent delivers everything you want in a multivitamin—providing nearly 100% of your daily needs with high quality, science-backed ingredients, no sugar, nothing artificial, and no GMOs. 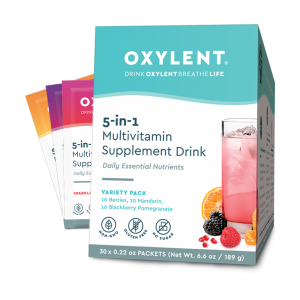 Oxylent® is an award-winning, 5-in-1 daily multivitamin all in one refreshing drink. Instead of swallowing pills or tablets, add a packet of Oxylent to water and enjoy a sparkling drink that delivers vitamins, minerals, electrolytes, amino acids, and antioxidants with easy absorption. The unique formula includes 1000 mg vitamin C, 1000 IU vitamin D3, 100% RDI or more of several B vitamins, the amino acids L-Arginine and Lysine, a full panel of superior-quality Albion® minerals including zinc, selenium, iodine, calcium, and magnesium, and the unique ingredient S.O.D. (or superoxide dismutase), which is a powerful antioxidant enzyme that eliminates billions of free radicals. Prenatal Oxylent® is recommended by the American Pregnancy Association and offers women an alternative to swallowing large pills adding a packet to water creates a refreshing sparkling drink that delivers a full-spectrum prenatal multivitamin containing folic acid, iron, choline, vitamin C, vitamin D3, and a full panel of Albion minerals including Ferrochel® iron, which causes less constipation and gastrointestinal upset than typical iron. 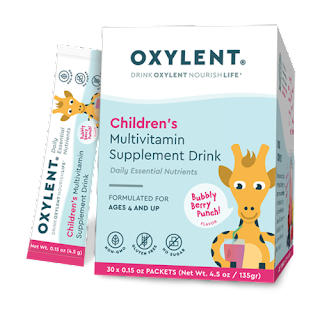 Children's Oxylent® is a superior quality multivitamin that is a great-tasting drink kids love that comes in fun stick-packets that kids can mix themselves. All Oxylent multivitamins contain no sugar, GMOs, dairy, gluten, soy, or anything artificial. Life as a parent should be as easy as possible, spent enjoying time together and focusing on what is really important—family, education and fun. Leave the nutrients to us! 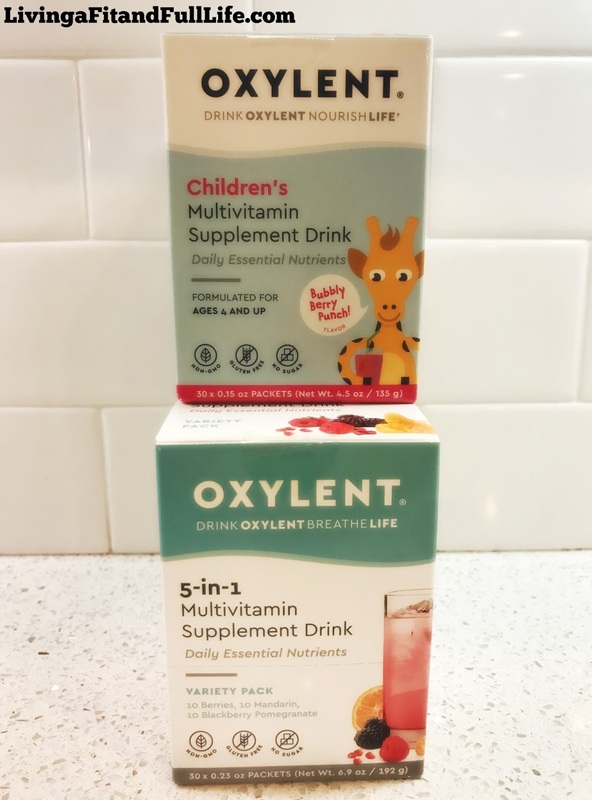 Children’s Oxylent is a full spectrum multivitamin formulated for ages 4 and up, that provides key vitamins and minerals many kids are lacking all with no sugar or anything artificial! Great Bubbly Berry Punch flavor that kids love! Get healthy with Oxylent high quality, science-backed multivitamins! I had the pleasure of trying Oxylent's Daily Multivitamin 30 Day Supply and let me tell you, I'm impressed. I love how easily they dissolve in water and that they actually taste good to drink. I also love that within days of beginning to take them, my energy level spiked. As a busy homeschooling mom of four I'm usually pretty tired but lately I've been filled with energy. Oxylent's Daily Multivitamin delivers vitamins, minerals, electrolytes, amino acids and antioxidants with easy absorption! 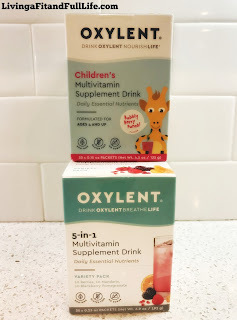 My kiddos had the pleasure of trying Oxylent's Children’s Multivitamin Drink and they love it! They ask for it every morning which makes it easy because I often forget to give them their vitamins if they don't remind me. These vitamins are perfect for kids 4 and up and provide key vitamins and minerals many kids are lacking all with no sugar or anything artificial! If you're looking for high quality vitamins that taste great, Oxylent has you covered! Click HERE to find a store near you that sells Oxylent! Click HERE to learn more about Oxylent! Follow Oxylent on social media!